Push Carts, Dollies, Tugger Carts, and Trailers can provide an efficient method to move materials through a facility. Whether for order picking, towing heavy equipment, or lean manufacturing, we can provide an appropriate standard or custom designed cart, dolly or trailer for your application. Order Picking Carts can be configured to be lifted, towed, pushed, or a combination of all three. By optimizing the design of your cart for pick to tote, pick to shipping carton, or pick to slot on a cart, we can help provide productivity, safety, and throughput enhancements for your operation. Carts, dollies and trailers can also be used in kitting applications for assembly or manufacturing operations. Similar to order picking, the carts are pushed, pulled, lifted or towed through a warehouse area to fulfill manufacturing requirements. Carts with kitted components can be delivered to a manufacturing or assembly cell on an as needed basis. Towable dollies and carts can be provided with quad steering, or caster steering options. Quad steer dollies and trailers follow in a train of multiples dollies very well and can boost efficiencies when properly applied. 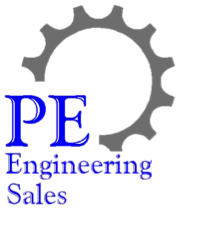 PE Engineering Sales has been providing customers with trailer, picking cart, and dolly solutions to meet their specific needs. Our solutions include ergonomic improvement, lean manufacturing systems, process improvements, and integrated cart based systems. Contact us with your next cart, dolly, or trailer application. We will be happy to assist.